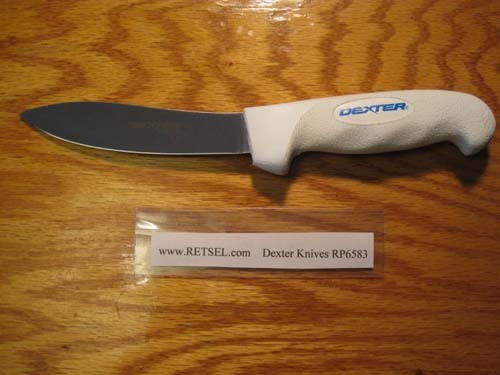 Dexter Russell 5 1/4 inch sheep skinner Discover the Dexter edge. Professional cutlery and product solutions designed for optimal production yields. Edges are sharp right out of the box and can be easily re-sharpened. Handles are ergonomically designed, slip resistant, and tailored to the task. The Dexter Edge - the right knife and solution...since 1818.